You may think that traveling to a peaceful and quiet location to focus on writing or other projects would be very productive. Getting away to a new environment can spark your creativity, get you out of a procrastination rut and give you the space you need to focus completely on a big project. But working remotely can be very distracting. I've been traveling full-time since 2012-ish. There is new scenery to get used to, unpredictable wi-fi connections, and being out of your normal routine that can kill your focus and productivity. There are also all kinds of fun experiences beckoning you to just get your work finished and start exploring whatever town you are in. So with working on your business and coaching remotely, there is an extra layer of focus and discipline needed to get the job done. It sounds counterintuitive, but you will experience more freedom than you ever imagined by having discipline and incorporating systems into your business. I enjoy a 3-day work week unless I am in the middle of launching something big in my company. This ideal schedule is all due to some systems I've put into place and discipline to work when it is time to work and relax when it is time to relax. 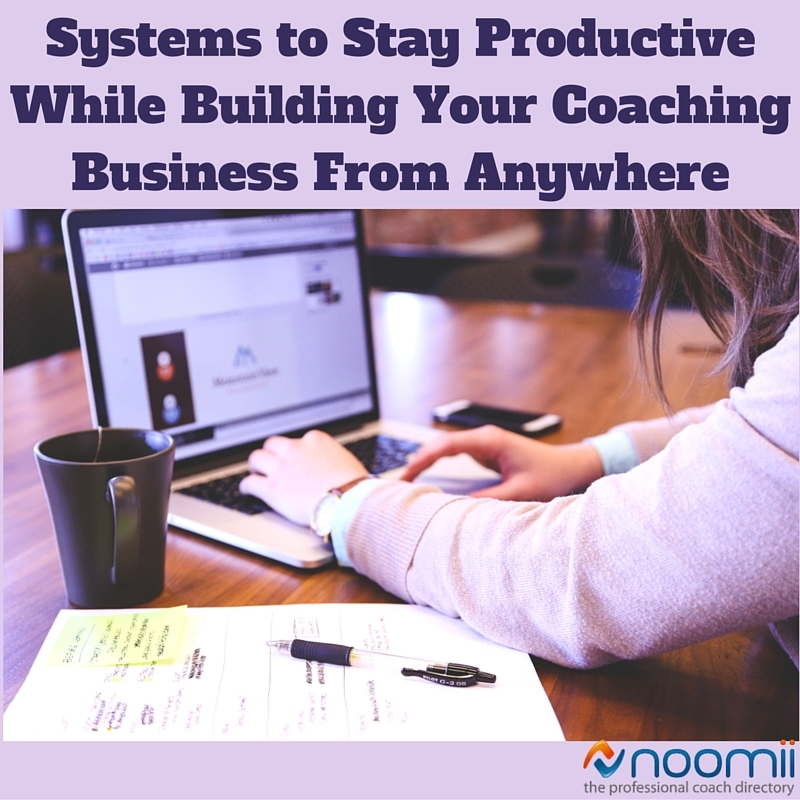 Even if you never plan on coaching remotely, these tips will work for you! You can be a “stay put” type of coach or even still in a j-o-b working on getting your coaching practice to be your full-time income. When you have the consistency of a “normal”, predictable and comfortable environment, you know what you can expect each day, so these tips will serve you even better than a remote working coach. Traveling or not, you are going to wake up somewhere. Create a productive morning routine that sets your day up for success, maximizes productivity and packs in as many new experiences as possible. While working from your regular home or office, you can be connected online all day with no interruptions. This is both a luxury and a detriment to your productivity. It is often too tempting to check email or your social media accounts when you are connected 24/7. There have been days where I can’t get on the internet at all and those have been some of my most focused and productive days. Even though at times I feel unconnected and like I am missing opportunities when offline, I’ve seen firsthand that you don’t really miss anything and you can get so much more done with long periods of being offline. You can batch online relationship-building and engagements when you are back online later, and it will be much more efficient and strategic than just poking around on the internet randomly. So to boost your productivity, schedule time to work completely offline. Then when you are connected to the Internet again, load up your work online and check in with social media and email. If you do not have enough self-discipline now, you can install a few productivity tools to your laptop and phone like this one called Freedom. Location-independent coach or not – you need to plan what you will do with your free time. Have you ever noticed that when you don’t plan your fun or recreational activities with your free time, work and chores seem to creep in? Planning what you will do in your free time also inspires you to stay focused during designated work time so you can get to the fun faster! Think back to a time when you were clearing all pending to-do’s because you were about to go on vacation. I’ll bet those are some of your most productive and high energy days. Have a long, boring drive ahead? Catch up on hands-free phone calls or dictate an article for your blog with the recording app on your smartphone. Let your calls build up so you can batch them all on the drive. Need a fast wi-fi connection to update your website? Then don’t waste time trying to do it when you have a slow connection. Instead, fill that time with something that doesn’t take an internet connection. That is a great time to get several articles written without interruptions (in fact, that is when I wrote this article - thousands of feet in the air). In between errands and appointments, you can knock out most email responses on your phone so you don’t have to do it during your focused work time. Keep a running list of everything you’d like to research online, then look everything up in one “batched” session instead of mixing research in with writing and other tasks. You’ve probably read a lot on this topic before from me and other location independent coaches, but it seems there is always one more thing I can either automate or delegate when I look through my to-do list. Take another look at what types of tasks you are doing; just because you think it is quicker or easier to do them yourself than it is to get help or automate them. It takes a little work upfront to set up the system, but over time, all this leads to greater productivity and more freedom in your life. I LOVE to record each task I do on my computer with Screenflow or Camtasia for PC. With ScreenFlow, I can record my screen and my voice while I do a task. I can show anyone exactly how to do what I do, plus speak to them and point out any special quirks or things to pay close attention to with any particular task. Anyone who joins my team now has a library of videos to refer to and my work is done as far as not having to train the same thing over and over again! Unless it is a scheduled call with a clear goal or answering the phone is part of your j-o-b, just don’t do it. Any call is an interruption when it is not scheduled and you are reacting to someone else’s timeline and requests. You can call them back later (or better yet, email them the answer they needed). Some will argue that just taking care of the phone call at the time it happens is faster and there is no phone tag. But those who feel that taking care of calls as they come in is more productive don’t take into account the time it takes to refocus after the call. It often takes our brains up to 20 minutes to refocus again after an interruption. To help “train” callers on how you’d like to work, ask them to leave a very detailed message with all their questions in their voicemail, along with their email address, for a quicker reply. You could also inform the caller in your outgoing message instructions on how to call your virtual assistant if it is an urgent situation. Don’t worry, hardly anyone will actually do this. When I had a large home with a big walk-in closet, I wore about 20% of the clothes in it. Then, when I pared it down to just a suitcase, I found that I was still wearing only 20%! When you are looking to be more streamlined, focused and productive, you may want to take a look at limiting your options or choices, especially if you are in the middle of launching a new business, product or service. You probably don’t even realize that you eat the same foods every day and wear the same eight to 10 outfits. Why not decide right now that for the next 90 days, when you are really pushing to start your coaching business and get all your ducks in a row, that you will have the same menu for breakfast, lunch and dinner and pick 8-10 outfits (really high-quality ones that you love) that you will wear, wash, and wear again in a cycle. Having less clothing to choose from makes getting dressed and out the door or to your desk quick and easy each morning. Everything you have is functional and fits the personality and size you are right now. For meal planning, you can have little variations day-to-day so you won’t get bored. 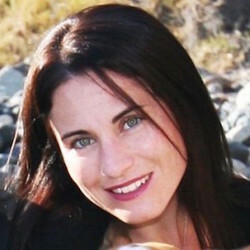 Erica Duran is a business coach & freedom-based luxury lifestyle designer. She gives expert guidance, support and accountability to coaches, trainers and other service-based entrepreneurs to build their businesses so they can work from anywhere and earn to a consistent $5K-$20K+ per month while still having the freedom to work only 3 days per week. Erica travels full-time, living at the luxury resorts that sponsor her podcast and web TV show. For more information and to book your complimentary strategy session visit EricaDuran.co. Great article. I like all your suggestions. This topic is particularly interesting to me because I work as a location independent professional and have for quite a few years. I can relate to the challenges of intermittent wifi connections and distractions while abroad. The good news for me, I guess, is that having too many outfits has never been a problem. If having 8 outfits is a pared down warddrobe, I don't know what that makes of my paltry closet choices. Plus, when I'm abroad, I don't live out of a suitcase, I live out of a backpack - a small one. Like you, I've done some of my best work on airplanes. Not having wifi is liberating some how. My only recommendation is that you plan ahead. Think of projects that you can do on the plane (or without wifi) and make sure you have all the resources you need ahead of time. For me, that means turning on the offline functionality for Gmail and GDrive.